The Mommy Makeover is a procedure made popular by many California celebrities, that entails breast surgery, tummy tuck and some degree of liposuction. It has been popularized over the past year-and-a-half to two years due to the increasing demand for women wanting to regain their shape, body image and self-esteem. The technique involves either a breast lift or a breast lift with a breast augmentation. On some occasions, the patient may require a breast reduction. However, in most cases women lose a fair amount of volume in their breasts and require either a lift or a lift with breast enhancement using an implant. At your consultation in San Francisco or Marin, Dr. Delgado will help you decide the best procedure for you. The tummy tuck is a key note of this procedure in which the pregnancy has changed the abdomen, both in the abdominal wall as well as the skin. For a pre-pregnancy look, the procedure entails tightening the abdominal wall and stretching the skin down to a nice, taut, contoured figure. Liposuction of the flanks is an added bonus which gives a nice waistline. The Mommy Makeover is a significant procedure which takes approximately two weeks to recover, but the results are amazing. Dr. Delgado performs numerous Mommy Makeover procedures at his Marin Cosmetic Surgery Center,with beautiful results and very happy patients. Please click here to view a Mommy Makeover video of Dr. Delgado’s patients. This entry was posted on Monday, October 11th, 2010 at 5:33 pm	and is filed under Body Sculpting, breast augmentation, Home, Mommy Makeover, Tummy Tuck. You can follow any responses to this entry through the RSS 2.0 feed. Both comments and pings are currently closed. 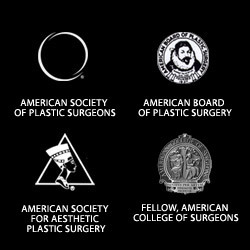 « Fat Injections, the Panacea of the Facelift?